A blog about the WHL’s Swift Current Broncos by their play-by-play broadcaster Shawn Mullin. Catch his call of the action on The Eagle 94.1 FM. Shawn has been in the radio broadcasting industry since 2004 when he first went to work as a technical producer for talk radio 580 CFRA in Ottawa. He made the move to Owen Sound, Ontario to become a radio newscaster and reporter with Bayshore Broadcasting. While there Shawn also worked for Rogers Television as a part of their Junior B, Lacrosse and occasional OHL broadcasts. 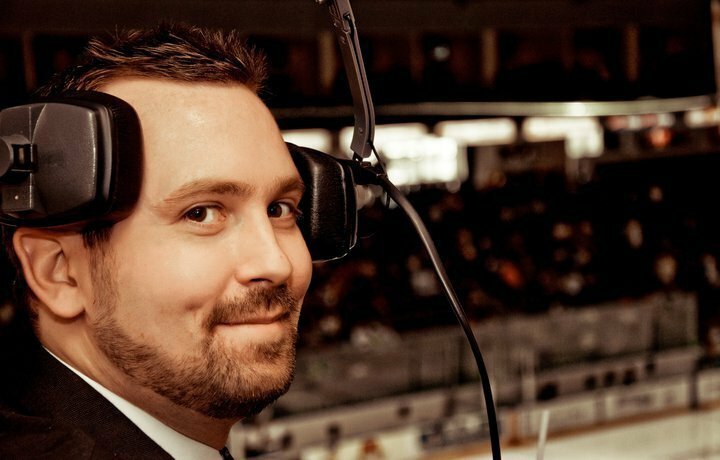 His first full-time job in hockey broadcasting was as the play-by-play voice of the BCHL’s Trail Smoke Eaters. He spent nearly 4 years in the Kootenays broadcasting Smoke Eater games and acting as the sports director for Mountain FM radio. Shawn’s roles included morning show co-host, afternoon drive host and co-creator/host of the nightly sports talk show “Overtime” for Mountain FM. He also worked for the hockey club by running a blog about the team, managing their website and later taking on the role of sales/marketing director. Shawn has been in Swift Current since September 2010. After four years as sports and news director for Golden West Radio in Swift Current, he has moved to car/truck sales at Standard Motors full time while continuing to cover the Broncos for The Eagle 94.1 FM. Shaun swift current has been blessed with some of the best play by play men in the whl and you definitely rank up there with the best of them. Thank you so much… It’s a tough legacy to live up to.